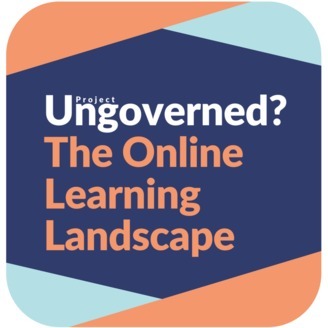 A global look at online education and its governance. In Episode 6, we look at the future of online education and enabling technologies, such as blockchain and artificial intelligence. In this episode, we speak with Alex Kaplan, Global Leader of Strategic Deals and member of the executive team at IBM Watson Education. Terms and Organizations Mentioned Algorithmic bias Artificial Intelligence (AI) from IBM Blockchain (from IBM) California Consumer Privacy Act of 2018 Competency Based Education Cultural homogenization Education Without Backpacks EU General Data Protection Regulation (GDPR) Family Educational Rights and Privacy Act (FERPA) IBM Watson Education Khan Academy Massive Open Online Course (MOOC) Pearson Sesame Workshop Related Blog Posts and Episodes 7 Steps to Address GDPR for a Project Website and Podcast Improving Access to Education in India: Quest Alliance (India) – Episode 3 Part 2 (featuring Aakash Sethi) Data Privacy and Online Schooling – Episode 5 (featuring Elizabeth Laird) Improving Global Access to Education: Kiron Open Higher Education for Refugees (Germany) – Episode 3 Part 1 (featuring Shana Kennedy-Salchow) Online Higher Education: Administration and Governance – Episode 4 Part 2 (featuring Joan Campbell) Transcript of Episode 6 (pdf) Download transcript of Episode 6 Questions for Upcoming Symposium Raised in this Episode • With the integration of artificial intelligence into future textbooks, what will the curricula and course development processes of the future look like? • If teachers are to become stewards of technology, what will the profile of a future teacher be? And how will teacher training programs need to evolve to accommodate this new role? • What will it mean to own your own data? How will taking ownership of data change how you interact online in the future? 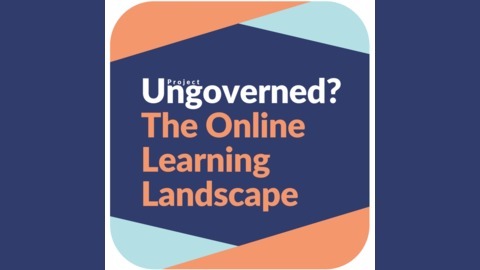 • As new technologies are developed, which will play a larger role in online education and its governance, how will laws and regulations need to evolve to address them? Featured Guest Alex Kaplan: Biography I am passionate about the power of education to transform lives and help people realize their full potential. I believe the application of artificial intelligence, analytics and other advanced technologies are essential tools to facilitate personalized learning at scale. My career has been spent thinking about and working on the application of advanced technologies to support education institutions and lifelong learning. As a serial technology entrepreneur and creator of eco-systems to support transformative education technology businesses, I have seen it all and what works and does not work. In my various roles as CEO, leader of sales and professional services organizations, and product development teams I have come to value those activities that make a real difference when they are in the hands of teachers, professors and students . I have been fortunate to work with the leading firms in the field, like Apple and Pearson, to think about and implement transformative programs. I also enjoy the opportunity to connect with the next generation of ed tech leaders on the role advanced technologies will play in the transformation of education. Sessions I have participated in at Harvard University, Columbia University and many other conferences have been engaging and interesting. I am on a continual quest to learn more about technology and education, and work with others that share a similar passion About Project Ungoverned? Project Ungoverned? takes place within the Bosch Alumni Network – a network which consists of people who’ve been supported in one way or another by the Robert Bosch Stiftung. The network is coordinated by the International Alumni Center – iac Berlin, a think and do tank for alumni communities with social impact. The iac Berlin supports this podcast series and our upcoming online symposium in January 2019. If you want to know more about the power of networks, visit iac-berlin.org.